It’s All About the Stars! I’ve recently been thinking a lot about book ratings. Ultimately that means that you guys are going to get some over-analyzed drawn out post from me, where I detail out things you probably don’t care about. So, in advance, thank you for humoring me. First of all, now that I follow a lot of blogs I’ve taken notice of rating patterns. I’ve stumbled upon a blog or two that seem to rate everything high. Maybe they don’t and they only review the ones they love, but that’s not readily apparent to the casual observer. I also don’t care. We’re all entitled to rate however the heck we want to. I certainly don’t want anyone to think I’m criticizing. I’m not. I’m observing. Anyway, it brought up the question of what kind of reviews do I find the most reliable. I’ve always held the opinion that the best review blogs are the ones that find the middle road. Honesty means some negative reviews and some positive. 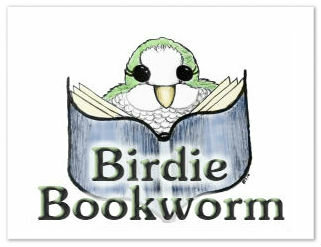 That’s what I strive for here on Birdie Bookworm. Of course, as you see, that led me to reflecting on my own blog. On my rating patterns and habits. Basically, when creating Birdie Bookworm, or creating any review site, you have to decide how your going to handle your ratings. After 6 years on Goodreads I’ve gotten in the habit of reviewing everything, giving potential readers the good and bad. So, my thoughts went more toward things like was I going to use stars? I went with feathers instead. Should I show an image rating at all, or just my review? I chose feather images. Was I going to use letter grades for reviews? (Nope!) I also decided not to use half star ratings on my reviews. Since I decided to discard half ratings, whenever I’m closing out my review I have to determine whether my half stars should be rounded up or rounded down. Should 4 1/2 stars be reflected with 4 stars, or 5? I can’t help but wonder if my rating style could be evidence of my being an optimist or a pessimist. I mean, couldn’t the argument be made that ones habit of rounding is basically a version of the glass half full or half empty? I’ve always thought I was a realist. I’ve always said that I judge everything on its own, and sometimes my feelings are more positive and sometimes more negative. I have prided myself on it. Yet, I now look back through my reviews (on Birdie Bookworm) and I see that every single 4.5 star book I read I rounded down to 4. It turns out that I’m probably an introverted pessimist! Now I’m wondering if that means we ALL think we’re realists? For all the people out there who would take a 4.5 rating and automatically round up to 5, do they justify that (which is their right) by saying that they’re just being real? Are we all blinded by our interpretations of ourselves? Which THEN raises the question of, am I putting way too much thought into this? Are you wondering how in the world I found myself lost on this tangent? Does anyone else out there think that our rating style tell a lot about our person? I do half ratings on my blog, but there was a time, four or five years ago, when I didn’t. And I always rounded up. I love math, and the thought of rounding a .5 down makes me shudder. It goes against what I was taught, and when it comes to math, I can’t make myself do it. LOL!!! Does the same apply to the half glass theory? Is it that full, because .5 should always be rounded up? I use half stars but if I round it up or down depends on if I my opinion of the book tends towards either way. In my head I work with slight differences, there are books that I rated 4 stars that are slightly better than other books that I also rated 4 stars, but simply because you can’t express these differences on a 5 (or 10) point scale, it gets a bit thrown on one pile. Which is sad but there’s nothing you can do unless you want to use a 20 point scale (ranging from 0.5 to 10.0), or more. Oh, I agree. I figure some sort of rounding has to happen even if you do use half ratings. You could probably reflect more accurate on a .25 rating, but that’s just way too much work. I also thought that I rounded depending on which way my .5 leaned, but when I actually went and looked at my Birdie Bookworm reviews I saw I’d rounded them all down… it made me rethink my opinion of myself. 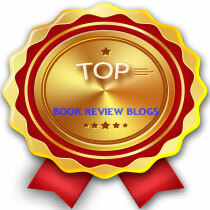 I decided not to use a rating system on my blog because it’s easier for me. You’ll only find a rating on my Throwback Thursday reviews because they’re older & not the best reviews I know I can do now, so it helps. I think the rating system does tell a lot about a person because even though I’m an optimist I rate somewhat harshly (or so I think). The book has to really wow me to be a 5 star, I rate a lot of things 3 stars because Goodreads doesn’t have the half star option, so even if I think it deserves a little higher than 3 it will still get a 3 because a 4 is too high. I’ve never been a fan of Goodreads rating system. I feel like on a 1-5 scale, three should be it was ok. And 4 should be I liked it. 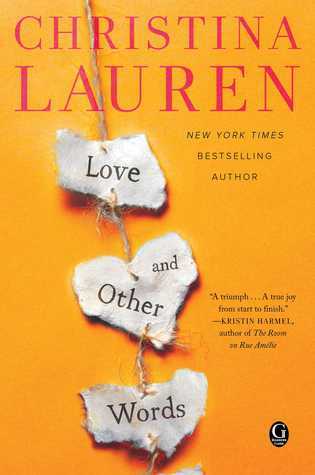 On Goodreads they say 3 is I liked it and 2 is it was okay. So, anyway, I rate on the bases that 3 is neutral, I liked it. I do tend to rate kinder than usual, with 3’s and 4’s as my main area. I also give out way more 5’s than I do 2’s or threes. It’s fascinating to break down for some reason, haha. Me either! My Goodreads is just full of 3’s and I always want to deviate from that number but there isn’t anything to deviate to on there that really matches what I feel. It is really fascinating, you definitely are more generous then I am. I try to be fair in my rating and not give away a lot of 5’s because I think those are reserved for special game changer books. If I didn’t use half ratings, but thought a book was about 4.5/5, I’d probably round it down because 5/5 to me is a book that I couldn’t really find any flaws with. However, 4.5/5 means that I did find some kind of flaw, so rating it down to 4 would make more sense. But when it comes to say a 3.5/5 book that you need to round up or down, it then gets a little trickier! I suppose at the end of the day it depends on how much you enjoyed it. Interesting post! I must be an emotional rater. Same here actually! I’ll mark something up if I really enjoyed it, even if it had a few flaws. It’s about your enjoyment overall really, just because a book might be perfectly written doesn’t mean you’ll always enjoy it. Such an interesting post. I struggle with book ratings as well. I use half stars on my blog and then I’d say that I usually round down when I rate them on Goodreads. So if I gave a book a 4.5 on my blog, I’d probably round it down to a 4 on GR. I doubt I’m 100% consistent on that either though because if a book really gets to me and I can’t stop thinking about it for days/weeks after reading it, even if I have some issues with the way it’s written, I’ll tend to round up if it’s a half star situation. I attribute all of this to being a Libra and being completely indecisive, lol. That is an interesting reason to not do half ratings, though a good one. I decided against it mostly because I’m very aware of my media storage, and because my sister draws my artwork and that’s three more.